There are a lot of great reasons to hire a dog walker. Maybe you recently adopted a new puppy or an older dog, and you want to make sure they get the potty breaks they need. Maybe your schedule has changed, perhaps you just had a baby or it’s busy season at work, and you can’t take your dog out as often as you used to. Or maybe you’ve noticed some behavioral issues, and believe your dog will benefit from some extra exercise and stimulation. Whatever your reason, finding the right dog walker can make a wonderful difference in your dog’s life, and in yours. So here are some tips on finding dog walkers, and on the questions you should ask to ensure that you’re choosing the best dog walker for your pup and your situation. There are as many dog walkers out there as there are reasons for needing one. Here are some ideas on the best places to begin your search. Ask your dog-owning family members, friends, co-workers and neighbors if they use a dog walker they can recommend. Maybe they can even help you out? Maybe one of your neighbors has a responsible older child at home who loves to exercise and is looking to make some extra money? Your “network” can be a great place to start, depending on what your dog walking needs are. Check with local shelters and at your vet’s office or groomer’s for a referral. Many veterinary technicians (vet nurses) do dog walking and/or pet sitting on the side, and this can be extremely useful if your dog also requires medications or other treatments in addition to their walks. Ask your dog trainer. 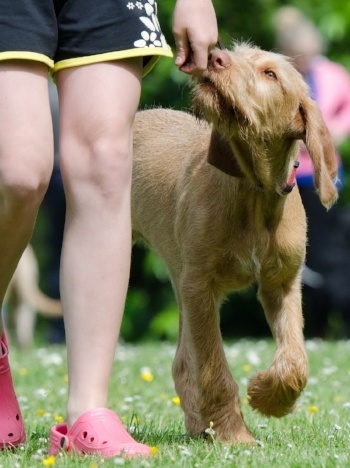 Not only might they have a dog walker or two to recommend, but many trainers offer “training walks” as a service themselves. This can be great if it’s not just physical exercise your pup needs, but also some mental exercise and refreshers on their behavioral skills. If your dog is having issues with loose leash walking, some "training walks" can help make all of your walks with your pup more enjoyable, too. Of course, the Internet is a great resource, so another option is go through an online pet service, like Rover, Wag! or DogVacay. And there are also online neighborhood message boards, like Nextdoor, where you can post your dog walking needs specifically to those living in your neighborhood. Once you’ve found a couple of potential candidates, there are some important questions you should ask. After all, you need to trust your dog walker not just with your dog’s health and activity, but also with their safety. And, in many cases, your dog walker will also be given access to your home. So these interviews aren’t something that you want to overlook. Can you give me several references? What are your rates and payment schedule? If you’re out sick or on vacation, is there another dog walker who can cover for you? Are you able to come at the time my dog needs? Where will you go and what will you do during the walks? Do you do any training work and reinforcement while on walks? Will you send pictures and updates from the walk? Will you provide a “report card” that notes my dog’s energy level, mood, and eliminations at the end of each walk? Do you know dog first aid, including CPR? Are you familiar with the signs of heat exhaustion and heat stroke? Do you know how to break up a dogfight, should there be a problem? Now that all the questions have been asked and your list whittled down, it’s time for the “dog walker test drive.” As they say… actions speak louder than words. So you should see all if your candidate dog walkers in action by going for a trial walk. While you may have to pay for these trial walks, they can be well worth it! Trial walks are often necessary to really know that you’ve found the right dog walker for you and your pup. They’re often the only way to know that your dog—and you—are truly comfortable with your choice. While on a trial walk, pay close attention to how the dog walker and your dog interact. Does the dog walker have a “natural way” with your dog? 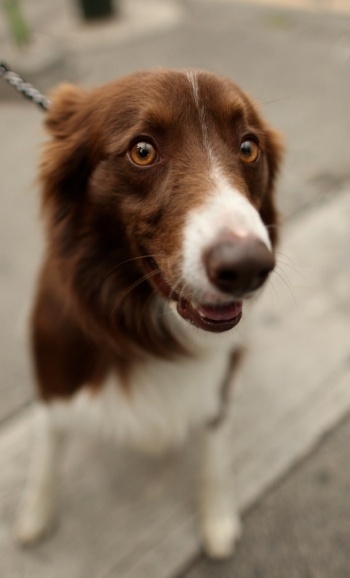 Do they “read” them well, and does your dog respond well to their cues and direction? Does your dog seem comfortable with them, and visa versa? Your dog’s body language—and your intuition—will help you make the right decision! Watch for the development of concerning behavioral or physical changes in your dog, and continue to keep an eye on the interactions and “comfort level” of your dog around your dog walker. Ask your neighbors to keep an eye out and to not hesitate to let you know if they see anything suspicious. 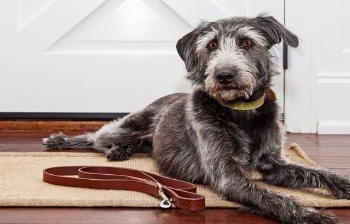 Put an activity monitor (like PetPace) or GPS tracker (like Whistle or AKC) on your dog. Not only can this be a great way to track all the new exercise your pup is getting, but it’s also an easy way to ensure that your dog is actually being taken for all the walks and distance you’re paying for. Set up web-connected “nanny cams” by your front door or throughout your home. These are easy to set up and there are lots of options out there, like the Nest Cam. Here’s a review of several options from the tech review website TechHive. Respect their schedule. Make every effort to avoid last minute cancellations and try to book as far in advance as possible. When the holidays come around, don’t forget them on your holiday card (and perhaps gift?) list. Consider a nice monetary tip and thank you at the holidays, too. If they have a website, Facebook or other promotional page, give them a great review. Just like when you were searching for a dog walker—it helped to hear others' experiences and recommendations. Point out what makes them unique and/or what you love most about their service. And, of course, a simple “thank you” goes a long way as well. Do you use a dog walker? How did you find them? What have your experiences been? Feel free to share your tips and stories in the comments section below.